Product Liability Attorneys: How Often do Pool Related Accidents Occur? With spring in progress and summer right around the corner, New Jersey residents are preparing their pools for the upcoming warm weather. While these products are an excellent way too cool off in the heat, there are some risks associated with pools. Consumers are not only at risk to some minor and serious injuries if a pool, spa or whirlpool is defective or malfunctioning, but drowning is also a huge risk. 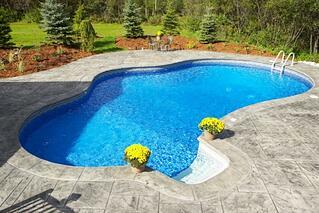 How Often Do Pool Related Accidents Occur? How often do pool related accidents occur? According to a 2014 report by the U.S. Consumer Product Safety Commission, accidents associated with pools and other similar products such as spas and whirlpools, there were 33 victims who suffered circulation entrapment from these products. Circulation entrapment is defined as an entrapment suffered by a consumer involving the water circulation system of a pool, spa or whirlpool. The report was based on data collection nationwide from 2009 to 2013. During that time period, there were fortunately no circulation entrapment fatalities. However, 28 of the 33 victims suffered injuries from circulation entrapment. Of those 28 victim, seven victims were between the ages of 15 and 49-years-old, while the remaining 21 victims were younger than 15-years-old. When considering what product was mostly likely to cause circulation entrapment, the report concluded that 45 percent were victims of pool incidents. Moreover, 64 percent of entrapments occurred in public settings, meaning it was not a personally owned pool, spa or whirlpool. This data suggests that consumers and public users of pools, whirlpools and spas could fall victim to a circulation entrapment. A pool and the like could become a dangerous product, and when an accident involving injuries occurs, it is important that victims understand their options. Such incidents could involve serious injuries, damages and losses, and could be caused by the malfunctioning of these products. Victims might be able seek compensation through a products liability suit. If you are in this situation, contact one of our New Jersey Product Liability Attorneys Today. Source: Cpsc.gov, "2009-2013 Reported Circulation/Suction Entrapment Incidents Associated with Pools, Spas, and Whirlpool Bathtubs, 2014 Report"